Veterans funeral benefits cover a whole lot more than just the immediate burial costs. The VA helps out military families with a comprehensive range of amenities and allowances for expenses associated with the death of a veteran. The family can provide a decent service and proper burial, honoring a person who laid his or her life on the line in service of the country. Everything the government does to help can be divided into two areas, or agencies. VA offers reimbursements to help with the expenses associated with funerals and other rites. The National Cemetery Administration takes over afterwards by offering a gravesite and taking care of it. The maximum amount the VA can provide depends on the cause of death. For deaths that are not service-related, there will be two payments that may not exceed $700 each. 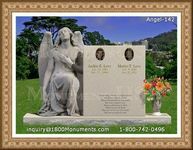 One is a reimbursement of costs for funerals, burials and other rites. 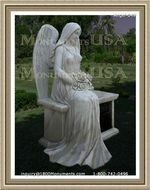 The other one is for interment of plots, available only for those not being buried in a national cemetery. The family of a veteran who dies of an injury or disability sustained during military service will get up to $2,000. This is a single payment, instead of two different amounts for different purposes. 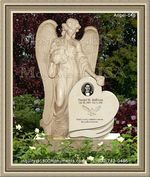 The cemetery expenses and care of the gravesite is handled by the National Cemetery Administration. The National Cemetery Administration has 131 national cemeteries available. Any one may serve as the last resting place for a deceased veteran, who is also given a marker or headstone along with a burial flag. 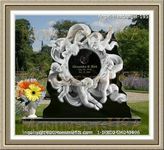 The families are given Presidential Memorial Certificates, and grave opening and closing along with perpetual care is provided to the family at no cost. Veterans funeral benefits are only available to the veteran and not spouses or dependents. The family may, however, be given last resting places in the same cemetery alongside the veteran. The government also adds an inscription to the veteran's headstone to include the dependent's name and the date of birth and death. This is done regardless of who dies first, ensuring that the entire family stays together in the afterlife.